Today I find myself even more curious about language and how this moves energy. It takes energy to move energy and when you find yourself struggling, or even giving in/giving up, take a moment to understand where you are in this moment in your level of consciousness. Are you feeling sad, feeling pain, feeling anxiety? Are there stresses in your life that are seeping into your consciousness and affecting how you look at thigs? What is happing around you and within you right now? The more you are speaking/thinking words such as “you made me,” “You are why,” or “You’re my purpose,” the more you are abdicating responsibility for your Self and place blame. Blame has an energy level of 30 (note Power vs Force) and is destructive to your mind, body, and spirit. When you are at an energy level of 30 it is exhausting to move past it, if you even can. Hate, at least, has an energy level of 150, providing enough vibrational energy that you could use to move up and out of where you are. The thing is, the only way to make any change is to be aware of where you are, take responsibility for it, and listen to the words you are choosing both verbally and in your thoughts. Get curious about your language choice. Be critical about the energy this creates. Be truthful about why you choose this language. Be honest with your desire to change and do the work. 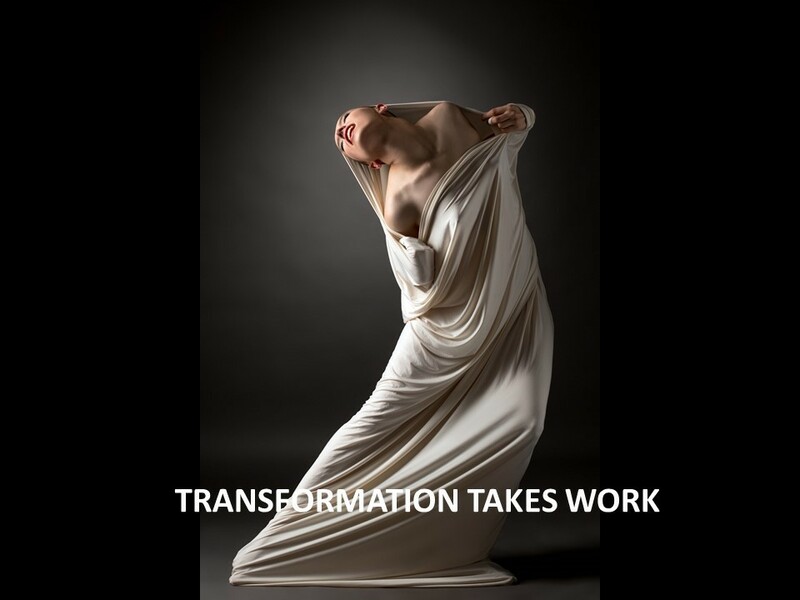 Transformation happens only one way, and that is with action. You can have awakening moments and you can have your breakthroughs, and these are truly transformative opportunities. Once you become conscious through these moments you can not become unconscious of your particular truth. Therefore, the only way to move this awakening into transformation is to take action; change your language and change your choices. You have free will. Your language drives your energy your action drives your change and your choices drive your results. Are you ready for different results in your life? If not now, when?